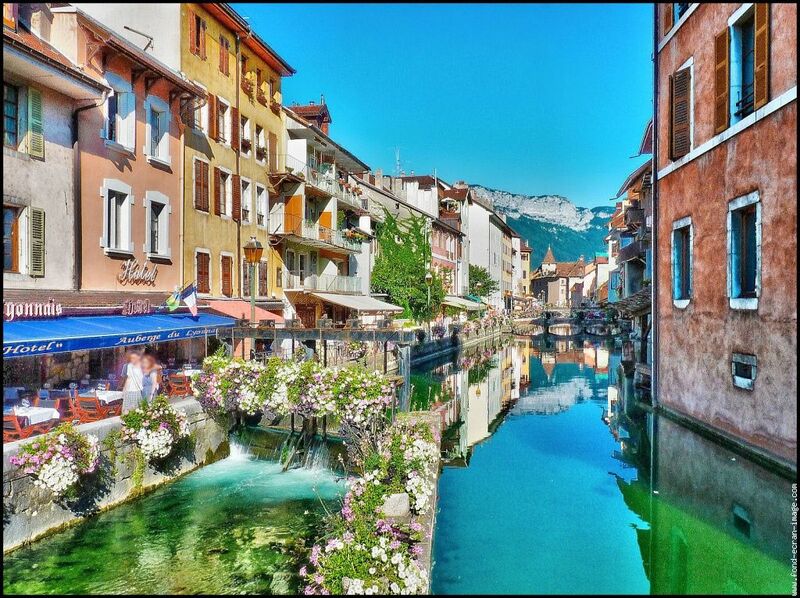 Annecy is a historic city, its old town and its canals (which earned it the nickname of Little Venice of the Alps), and its various monuments such as the Palace of Isle, the castle, the Basilica of the Visitation… attract visitors from all over the world every year. Annecy is ideally located near the mountains. In winter, the nearest ski resorts (about 1 hour of public transport) will welcome you for skiing, snowshoeing or simply to admire the snow-covered countryside. In summer, hiking enthusiasts will be delighted, you can access routes directly from Annecy in the Semnoz mountain and Mont Veyrier. It is impossible to talk about Annecy without mentioning its lake. You can easily cycle around it thanks to the cycle path and stop in the different beaches and villages that border it. In summer, the water reaches an average temperature of about 23° C, which is perfect for cooling down after French classes, for example. There are many water sports activities available whether you are sporty (kayaking, paddle, wakeboard…) or not (pedal boat, boat without a licence, swimming…). If you like cheese, Annecy is a great destination for you! Indeed, local gastronomy uses a lot of this food in its cuisine. Among the most famous dishes of the region you have the famous Tartiflette, made with a cheese from the well-known region: Reblochon. Of course you will also find traditional mountain dishes such as fondue and raclette. You can easily find these dishes (and others) in the many restaurants of the old town.